After 17 months of reconstruction the Italy’s most famous fountain is flowing again, more beautiful than ever. The makeover cost around €2.2 million and was funded by the luxury fashion house Fendi, which stepped in to help the city of Rome after the experts realized that the fountain was deteriorating rapidly and needed a serious intervention. In exchange, Fendi will affix a branded sign at the tourist site for four years. The fashion house will continue financing restorations across the city with its wonderful “Fendi for Fountains” project. 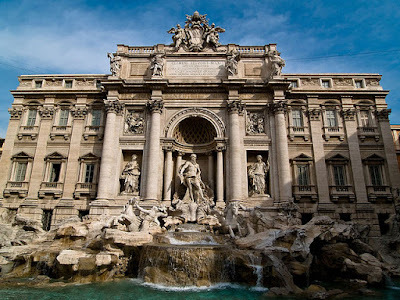 The Trevi Fountain is famous not only for its Baroque splendour but also for a delightful tradition: if you want to return to Rome, you have to toss a coin over your left shoulder into the water. Eager tourists throw coins worth up to 3,000 euros a day, which go to local charities. To keep the tradition going a small basin was made, so coins can be thrown there rather than in the main water reservoir. Pope Clement XII commissioned the construction of the iconic fountain in 1730 to revamp an ancient Roman aqueduct that served the city for over 400 years. 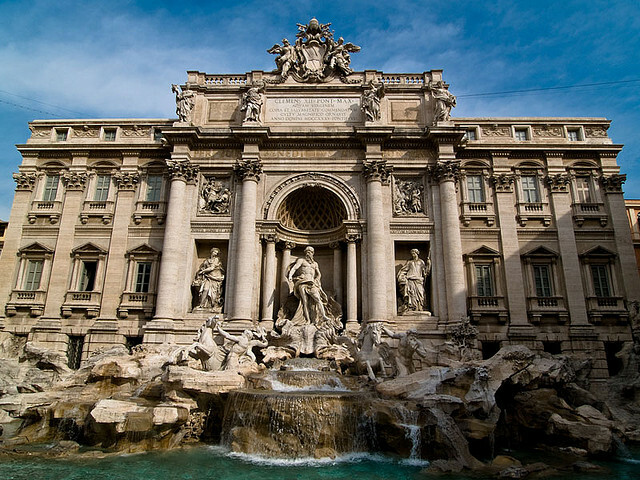 It took more than 30 years to complete but the splendour of the Trevi Fountain was certainly worth the wait. The Trevi Fountain is 26 metres high (85.28 feet) and 49 metres large (160.72 feet). 80.000 cubic meter of water flow through it every day. 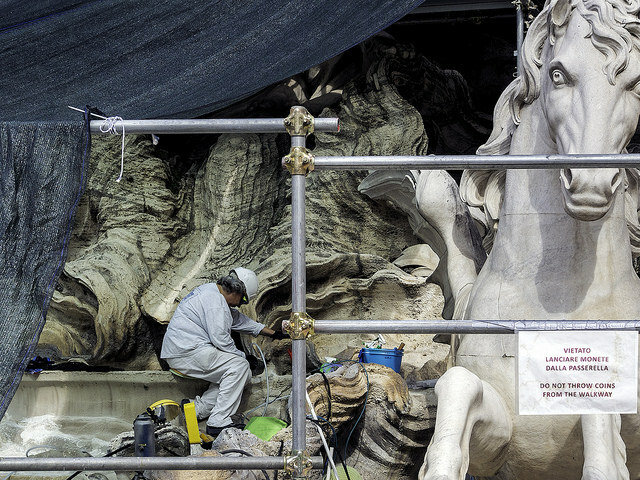 The fountain’s façade is made of travertine stone and the statues are carved from chunks of precious Carrara marble. In the centre stands the statue of Ocean who is carried on a chariot by two horses led by Tritons. On the left is the statue of Abundance with the horn of plenty, above which is relief of Agrippa, a Roman general and statesman who supervised building of the aqueduct. On the right side of the fountain there is a statue representing Health. The fountain is richly decorated with beautifully carved floral elements: wild fig and ivy branches, capper plants, artichokes and grapes. Photos via Flickr by: Larry Miller, Ian Southwell.